LAUNCH Golo Carcare allows perform a real-time remote diagnosis by the preffered workshop with a latest generation Launch DBSCar series scaner (PRO, PRO3, PADII, CRP229, MOT ...). In combination with a usual Android or iOS smartphone, the driver can check and clear DTC's. Bluetooth connection. The newest LAUNCH Golo X is a adapter with Carcare fuctions + thanks a integrated sim, GPS and G-sensor it is converting in full independent unit with real time tracking function + diagnostic + WiFi router function. Works on the Android or iOS. Special offer! 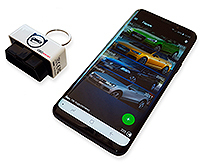 New generation mini scanners with color screen. 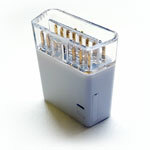 For diagnostic available all systems for 5 previosly selected car brands + OBD-II diagnostic. Free sw update. Version S5 - +5 special service functions. Version S7 - +7 functions & adaptations. Semi-professional express scanner with touch screen and OS Android. For diagnostic available all systems for 48 car brands + OBD-II diagnostic + 10 more used special service functions and adaptations. Free sw update. 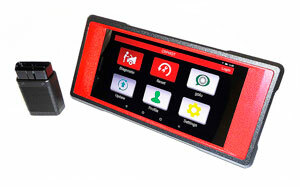 DIY scanner based on tablets and phones with Android OS for VAG concern cars - VW, Audi, Seat, Skoda... Despite of orientation for personal use, capabilities is near dealer level. Free updates. Interface languages - English and other. Original made, official. Advanced oil&service interval light reset tool for mayority of asian, european and american cars. For tehnicians and car owners. For some brands have the function of airbag light reset. Free software update via Internet. Manufacturer - Launch. Tool for tyre sensor programming, diagnostic and coding. 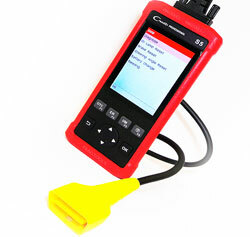 Also included diagnostic functions as diagnostic scanner for more than 40 car brands. Update via Internet, 1 year licence. Manufacturer - Launch.